The weather has really dropped around here, so the last couple days have been all about bundling up when just last week I was wearing this little number. 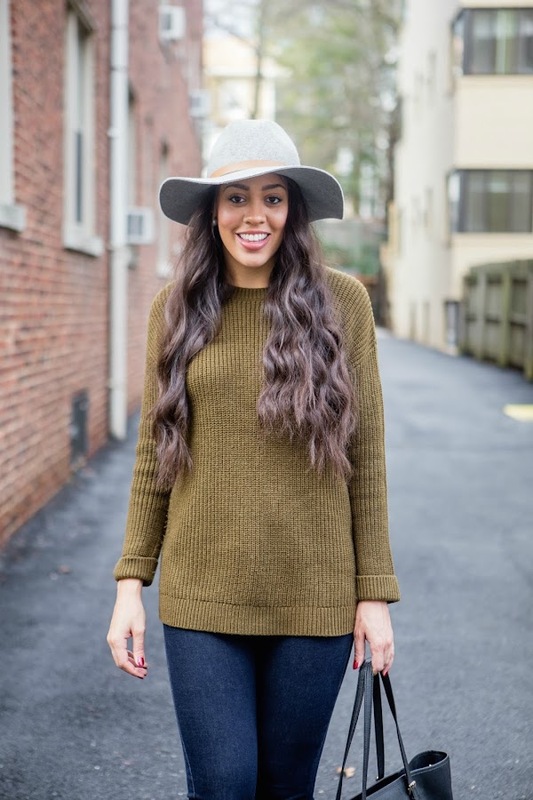 This sweater has been on serious repeat not only because I have turned into a sucker for anything army green but also because it is so easy to layer over top of as well as under, you can see how I wore it last in this post. 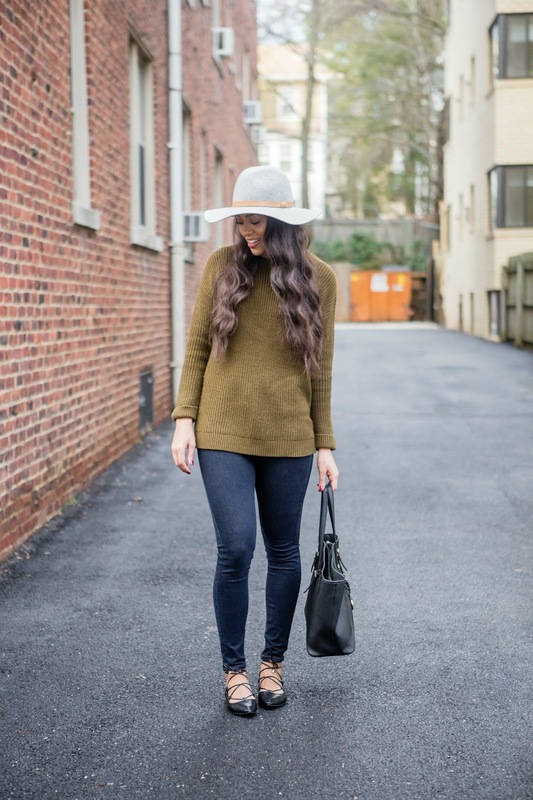 Here I've paired it with my favorite lace up flats and neutral hat for running errands but will surely be layering it up with vests and scarves now that the temperatures are finally dropping. Those lace up flats take the cake! Love these photos, you're gorgeous! Oh hey! I love the new hair color! And gorgeous lace up flats! !